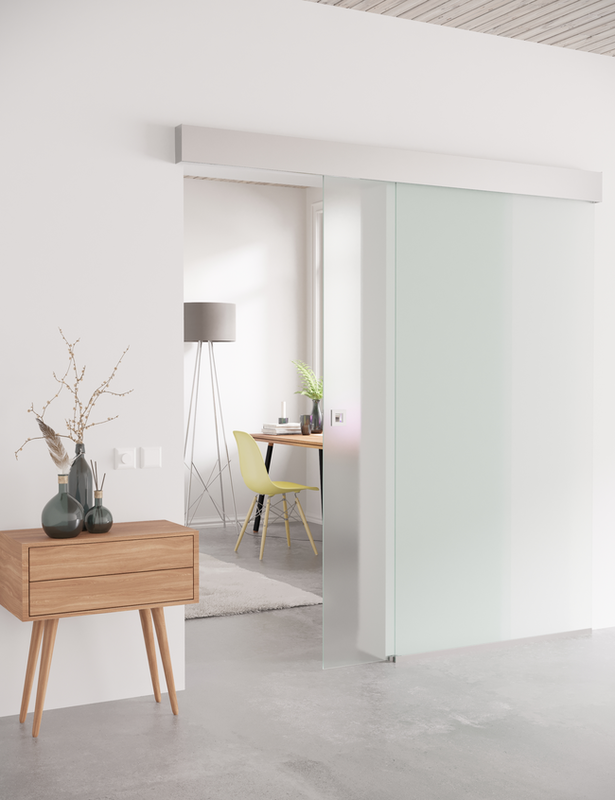 Sliding door consists of door glass, handle, sliding mechanism and floor guide. Sliding door is hanged on sliding mechanism. There is no frames or doorstep on the passage. Sliding mechanism is mounted with screws on building wall above the opening. Glass guide is mounted on the floor using screws or glue. Sliding mechanism is manufactured of aluminium. Visible parts are anodized with grey color. Glass door is manufactured of 8mm thick tempered security glass (EN12150). One side of the satin panel is etched to acquire a velvety feel and the other side is smooth. When choosing a satin panel product, bear in mind that the etched surface of the panel is sensitive to scratches and stains. Door fits onto an opening of 900x2000mm. 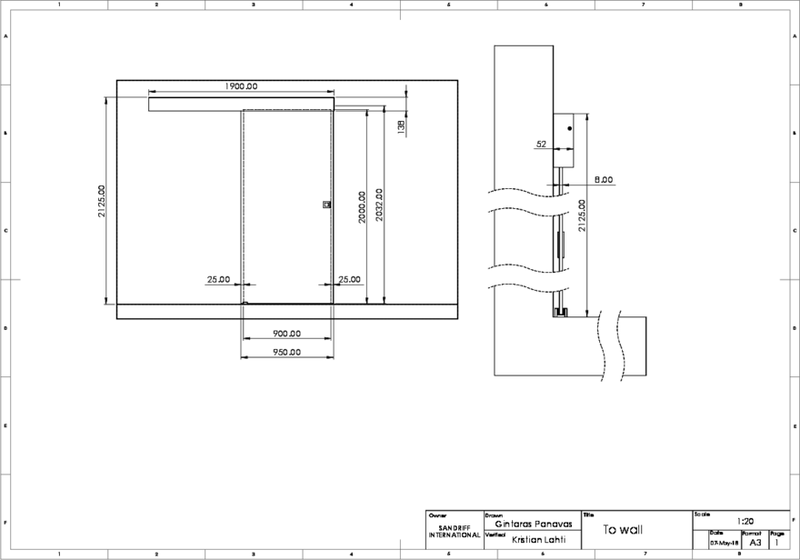 Door glass width is 950mm.